A few weeks ago I explained gene therapy. Now we’re here in LA! Here’s what we’ve been through so far. . .
Our adventure began with flying out to LA from Toronto. 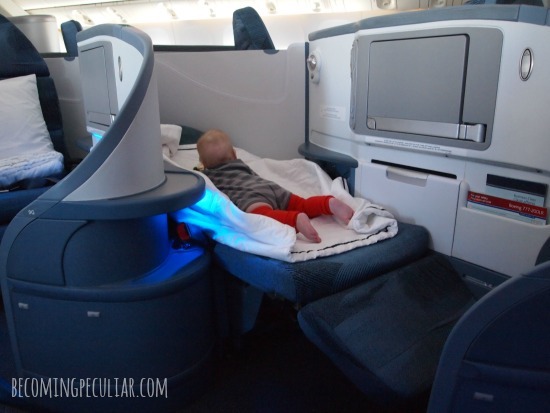 Air Canada and Aeroplan deserve a HUGE thanks for putting us in first class. Let’s pause for a moment to talk about that. First class is THE SHIZNIT, you guys. UN-FREAKING-BELIEVABLE. 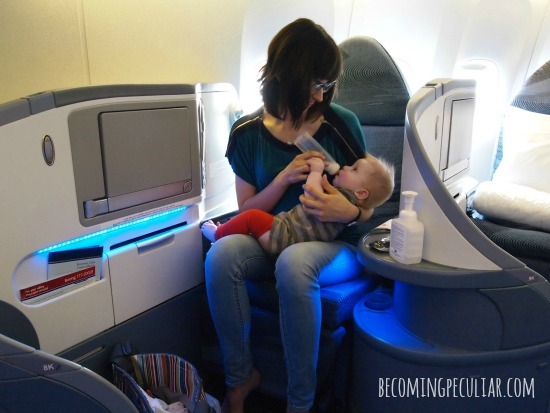 If you thought it was way better than economy, you had no idea. It is better TIMES INFINITY. 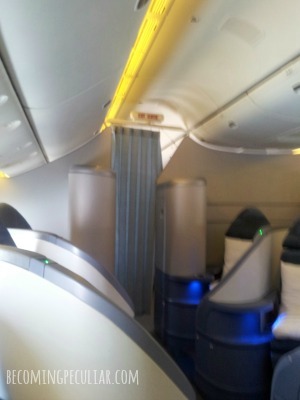 Our favourite part was how they close the curtain at the back to hide the unsightly riffraff in coach. They’ve ruined air travel for us, because economy will forever feel like a prison sentence compared to first class. Anyway. 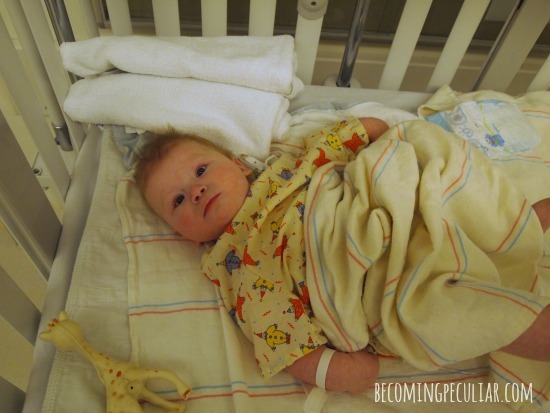 We spent our first night in a hotel, and on Monday morning headed over to UCLA to have Felix admitted. Monday was our first day in the hospital. Ronald Reagan UCLA Medical Center is a huge, gorgeous hospital. The grand front atrium feels like the entrance of an art museum. The cafeteria is super-classy with lots of delicious, healthy options. 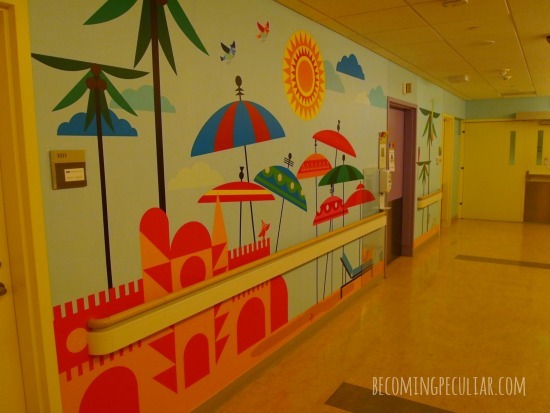 Felix was admitted in the Mattel Children’s Hospital, which is brightly and handsomely decorated. His room is spacious and attractive. The staff is all super-nice. The first day was just going over consent forms (dozens of them! ), for the study. The doctor went over exactly what was going to happen every day that we’re here (given everything goes as planned). It was exhilarating and terrifying at the same time. We’ve wanted this for so long and it’s finally here!! But oh, what scary risks we are taking. It’s our best choice, but it’s full of risk. 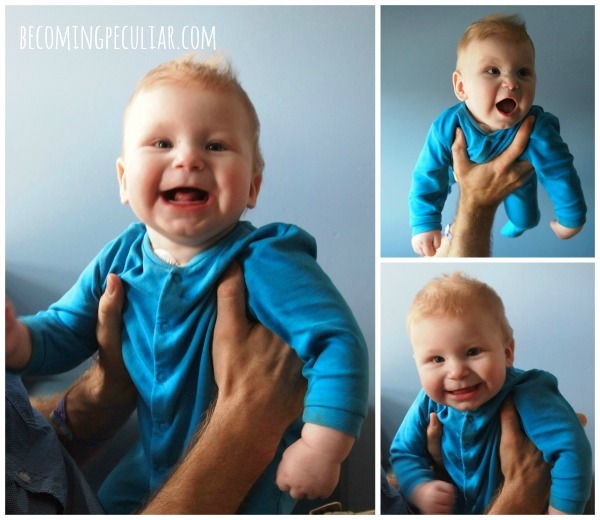 Felix continued to be a happy, energetic baby all day. He had to stop eating at midnight for surgery the next day. Early Tuesday morning, Felix was taken down to the operating room. He was still in a good mood despite not having eaten in seven hours. Crazy baby. I suddenly wept as I said goodbye. What an emotionally-charged thing it is to let strangers wheel your baby away to put him to sleep and take out his bone marrow. We had breakfast while we waited, and even hopped into Whole Foods down the street. The procedure took about two hours. 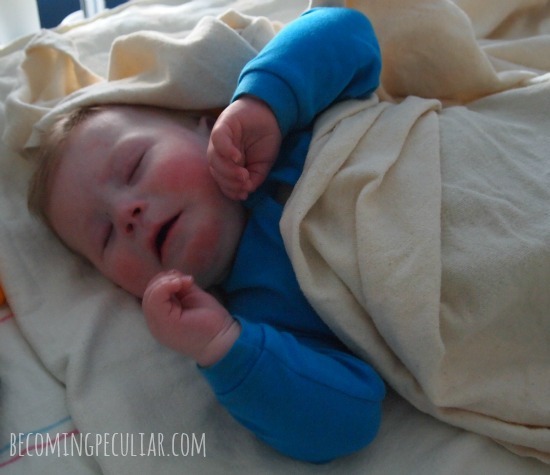 When we came back to find him in the recovery room Felix was just starting to wake up. The doctors said everything went really well and they got lots of bone marrow. I held him for the next two hours and he continued to mostly sleep. He got a blood transfusion to make up for all the blood cells they took. We were allowed to give him some sugar water to drink, which he eagerly took. The rest of the day was very, very long and hard. Felix was in a lot of pain. He spent the next five hours straight screaming. We took turns holding and comforting him though nothing helped. He was starving, but the breathing tube they’d inserted during the surgery had hurt his throat — he screamed every time he swallowed. Finally they gave him some morphine for the pain and he slept. Finally in a morphine-induced sleep. This is not how our baby usually looks. We tried periodically to feed him throughout the day and night but he refused to take anything. He wouldn’t even close his mouth to breathe. When we gave him his oral medicine in his sleep he cried out every time he had to swallow. It’s torture to watch your children suffer. It’s Wednesday morning now. 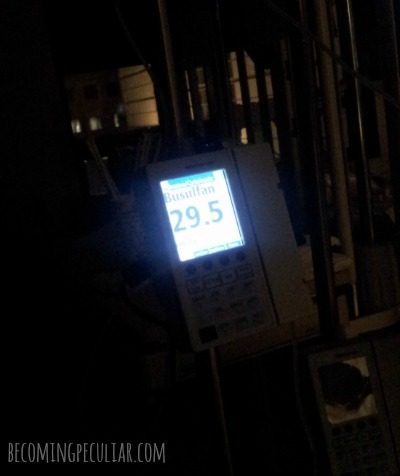 Last night at midnight Felix got his chemo (busulfan). (It’s just an IV drug that went through his central line.) It was dosed over three hours. Every time Felix would start to wake up he would cry in pain (still from the surgery, we assume), he would get another dose of morphine, and he would fall back asleep. He still hasn’t eaten in over 30 hours. We still don’t know if the chemo has had any negative side affects so far, or if so, what they are. He just woke up smacking his lips and looking more like himself so we’re feeling hopeful. Ben just offered him the bottle and he took it! So it’s time to run. Hopefully today is better than yesterday. In the meantime, Felix’s bone marrow cells are in the lab, being treated with the corrected gene and being encouraged to grow. Pray that the side effects from chemo are minimal and that Felix doesn’t suffer too much more. Pray that all goes well in the lab, and that Felix can get his corrected cells tomorrow (Thursday). Continue to pray that there are no complications and that gene therapy cures Felix, so he can live a long and healthy life! 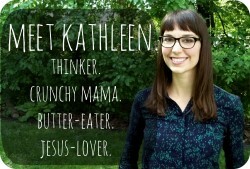 Peace be with you, Kathleen. I will continue to hold Felix and your beautiful family in the Light. This made me cry. Praying!! So happy that things are going well! It’s a joy to see you get to hold your little guy. Praying from NJ! You don’t know me, but I’ve been following your blog for a while now after being introduced to it via some Catholic mommy blogs. Praying so hard for your little Felix from here in Alberta, and for strength for you and your husband and daughter. Fiona Lynne recently posted..Empowered to begin. Permission to try. Praying for your little guy to have an easy time of it with the chemo, and for the gene therapy transfer to work. You are facing all the risks and ups and downs with such bravery. Praying for you guys and the best outcome for Felix! So grateful that you have this opportunity for Felix. Praying for you, Felix and the doctors and nurses treating him. Praying for complete healing and a quick recovery from his procedures. Praying for you and Felix!! Thank you for sharing your journey with all of us. 1. THE CUTENESS. He’s so adorable and sweet. 2. OMG, that first class! I don’t think I’ve even ever been on an airplane with such a fancy first class! What fun! 3. And most important, we’re praying so hard for all of you. May God bless and keep and strengthen all four of you. Praying in New York. Carrying you all in our hearts! Sending you prayers from Baltimore, Maryland. The picture of “morphine induced” Felix just broke my heart….the flushed cheeks and look of discomfort. But I hope this is just a step in the process he needs to overcome all of this! You all will continue to be in my thoughts. Prayers for your family! It hurts me just hearing about how you’ve had to watch your baby suffer. I can only imagine how it feels to live it. Oh my gosh, I adore all of these pics. 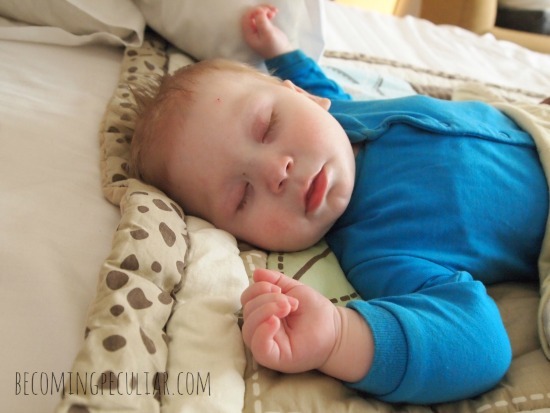 He is such an angel – my favorites are the blue sleeper pics. Your updates are so emotionally charged and I look forward to each and every one of them. You write so well – I feel like I’m right there with you. We continue to pray for your beautiful family. Many prayers for Felix (and you folks!) and for everything to go smoothly. Your family is in my prayers! I’ve been following your blog for over a year now. I’m so sorry for the pain you’re going through. Praying for you here in Saskatchewan.